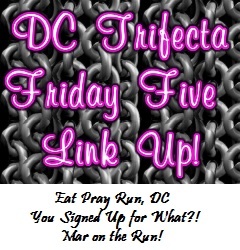 Sounds like great East Coast races! Too bad I'm on the West Coast. 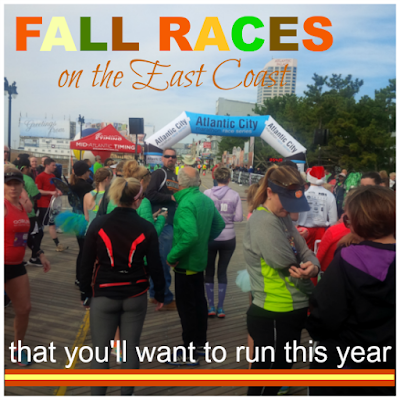 Sounds like fun to run on the Atlantic City boardwalk or run in Hershey Park! I'm in Bucks County, PA. Must be somewhat close to you as these races are all relatively close to me. I am not doing any of these, but I am course marshaling on a bike for the Princeton Half Marathon on October 4. Maybe we'll bump into each other at some point if we're nearby! I need to start looking in to some races to do when I am in the states for 6 weeks. I am sure there are loads going on this time of year. That Octoberfest 5k looks like tons of fun. 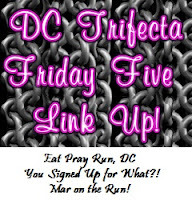 I have NYC Marathon on my calendar so there won't be much else in terms of racing, except a trip to Richmond with the girls from my running group for the race weekend. The vineyard race sounds really fun too. You have a busy fall schedule! These sound like some great races! I have one more half-marathon this fall before my full in November. I probably won't try to squeeze any more races in between now and then. But fall is such a great time for racing! I haven't done one but I'd be all for a vineyard run. I can't help but look at pictures for the Wine Country series. There's a vineyard run near me that I've never had the chance to run, but would love to. Wine and running, two of my favorite things! Hershey Park?!? Running through chocolate world?!? That sounds AWESOME!! 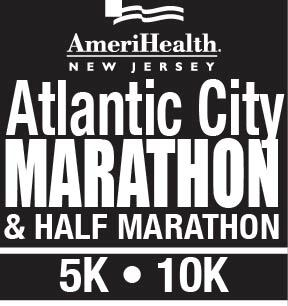 I bet the Atlantic City races are really fun, too; that sounds like a great idea. Thanks so much for sharing these and I hope you both have a great weekend! Those Hershey Park races sound great! I definitely have to look into those. I would love to do a race in both Bethlehem & Hershey Park some year. Yay, this is my area! I'm running the Hershey half marathon in October. Also found a 5k this weekend right in my hometown with a beer theme so I definitely signed up for that! 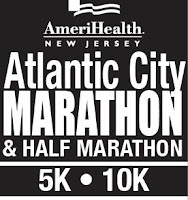 My husband is from Philly so one of these days I am going to have to do a race there. Those look like really great races! 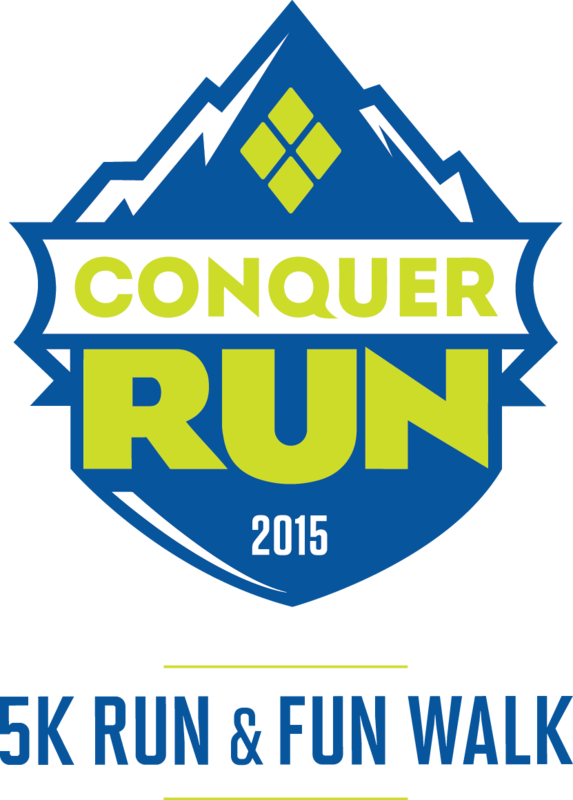 I may have to add some to my race schedule for 2016! Living on a state that only has two seasons (3 months of winter and 9 months of summer), I'm always jealous when I read fall race recaps. Everything is so pretty in the fall! Lots of great races indeed. There are so many great fall races - this is a great list! These sound so fun! 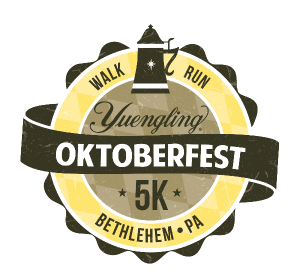 I love the Oktoberfest 5k! That one sounds amazing. Today sure feels like fall! I'm grateful because tomorrow I have a half marathon, and I sure didn't want to have to slog through it like so many of my runs lately! I want to go to Hershey Park and coordinate it around running a race!! I need to get in am East coast race, especially now that my baby sister lives on the east coast. I hate that she lives so far away! i am going to try and coordinate a race with her eventually, she is a runner too. Very cool, had not heard of any of these before. Thank you so much for posting these! My husband and I are doing a 2-3 week road trip in the fall of 2016 from Texas to Niagara Falls, then on to the east coast. I was wanting to find a race or two to run while we were there. I have taken a screen shot and saved it to my vacation file. Thanks again! All of these races seem like so much fun. I especially loved the one through the vineyard. Do you have the opportunity to taste some wine afterwards?